The magic of 1982 now that I have the ACI and yellow dot in place. I think I hear “Don’t Stop Believin'” coming from that Ford Custom. Cool! However, modelling this era means you have to put some work into your cars to get them ready to enter this golden era on your layout. You need to screen your cars for ACI tags, lube plates and the famous yellow dot. 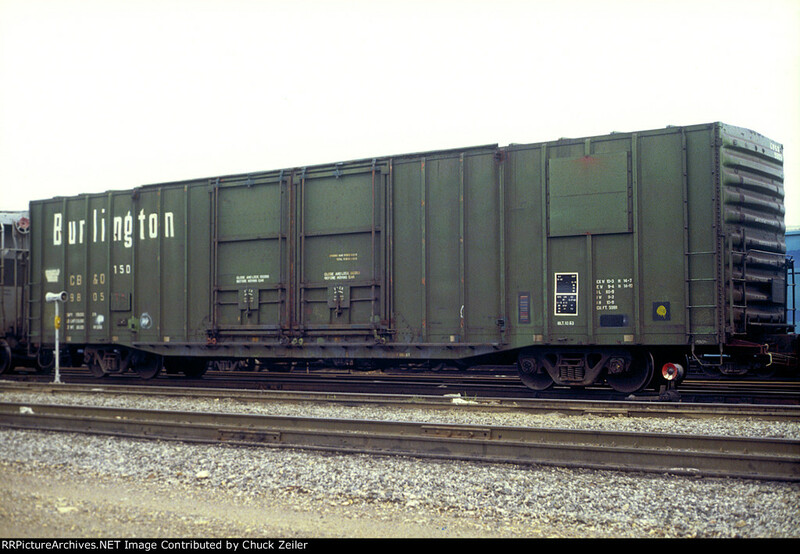 Yellow Dots — In 1978, a bad batch of 33″ wheels from the Southern Wheel Company was suspected in causing several derailments. To quickly identify and eliminate the problem, all cars with 70 ton or less capacity and 33″ wheels had to be inspected. If the cars had the recalled wheels they were given a marking like this with a white dot. Cleared cars were given the yellow dot. The mandate came in March of 1978 and all bad wheels were to be identified and replaced by December of that year. (And through December cars with a “white dot” could not be included in any train carrying hazardous materials.) New cars built during the period were also given the yellow dot at construction. 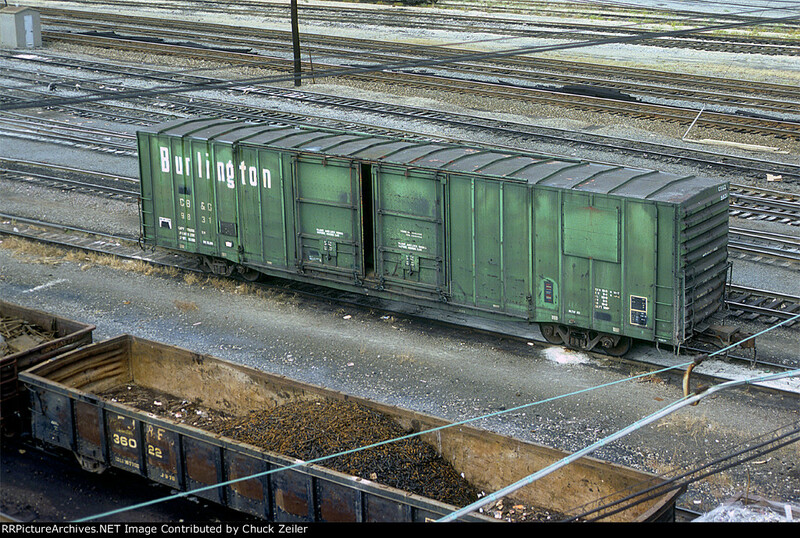 There was no pressing reason to remove the yellow dots, so many stayed on freight cars for decades until they were repainted or retired. (As it turns out, some 100 ton cars got the dot too.) Cars built or repainted after 1979 won’t have this dot. Consolidated stencils — Consolidated stencils began appearing in 1972. Early ones were single panels. ALL cars have them now. ACI Plates — Automatic Car Identification plates were introduced in 1967 and were required on all cars in interchange service by 1970. Due to difficulty in reading the plates from dirt and grime, the ACI plate requirement was eliminated in 1977, so cars built after 1977 won’t have one, but cars that had one often had it left in place. 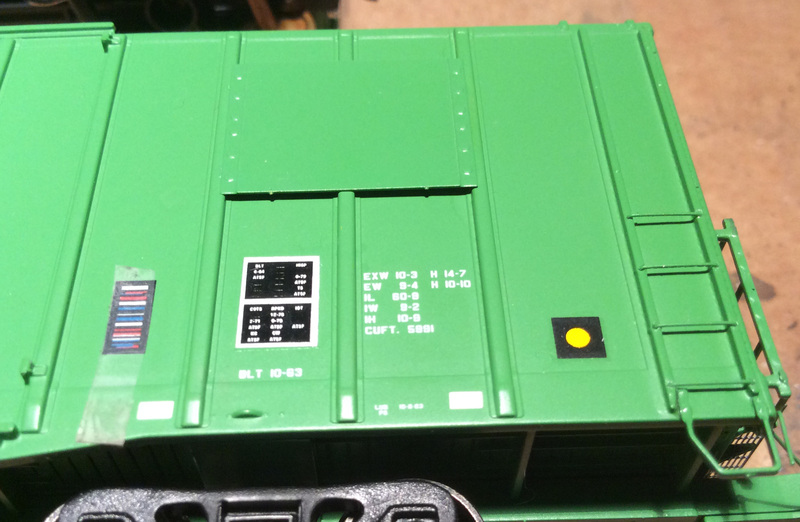 Microscale MC-5003, Data COTS double panels 1980+ (but circa 1970 – 1980 on the decal sheet itself) will give you a whole sheet of the lube stencils. 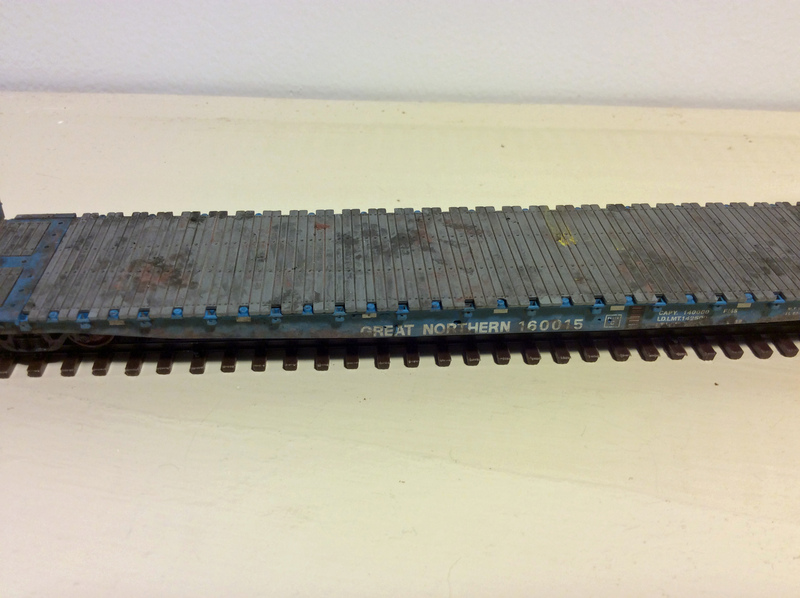 Microscale 87-2 Data for freight cars gothic black and white will give you ACI plates and much more. 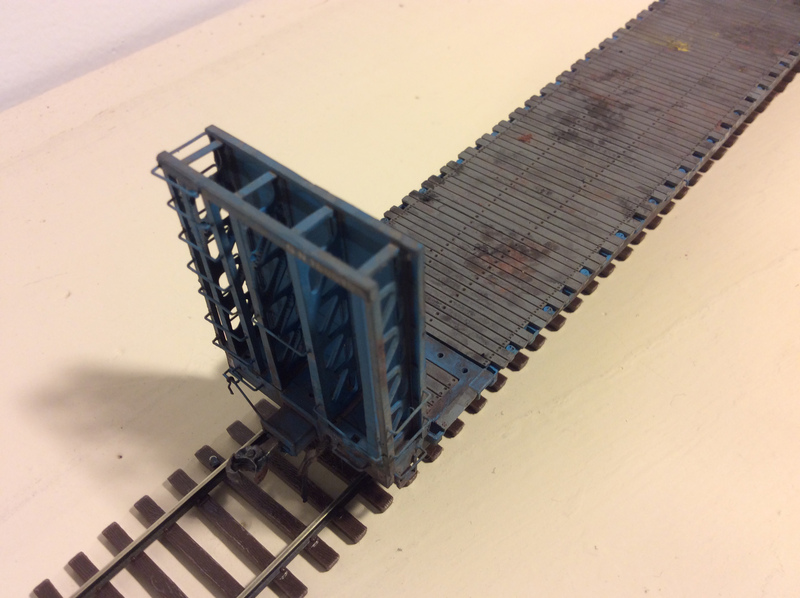 On my Rails West layout, I have to do a little research before any weathering can begin. Often decals are needed to get the car ready for 1982. Let’s work through a couple of cars I recently prepared for 1982. Here are the cars before weathering. I had to add the consolidated stencil and yellow dot on the CB&Q car. On the CPLT car, I had to add the ACI plates and yellow dot. Here’s a before on the CB&Q car. I have both road numbers of the CPLT car. Here’s a side-by-side on the CPLT car with and without. To me, it makes a big difference when you start being sensitized to these features. Let’s get a little prototype information. Here is a link to #7844. It does not have the ACI plates because it was built after 1977. If any readers have an image of this car, I’ll be happy to post it. Most images on the web of this attractive car are copyrighted. Here are a couple of images of cars similar to the CB&Q car courtesy of Chuck Zeiler from RRpicturearchives. Little more on preparing the cars. I have the yellow dot and consolidated stencil in place and decided to make it look like the ACI place had been cleaned like #9805 above. So I taped the ACI plate before weathering the car. Yellow dot and ACI plate in place. It is now time to weather. Here are the results. 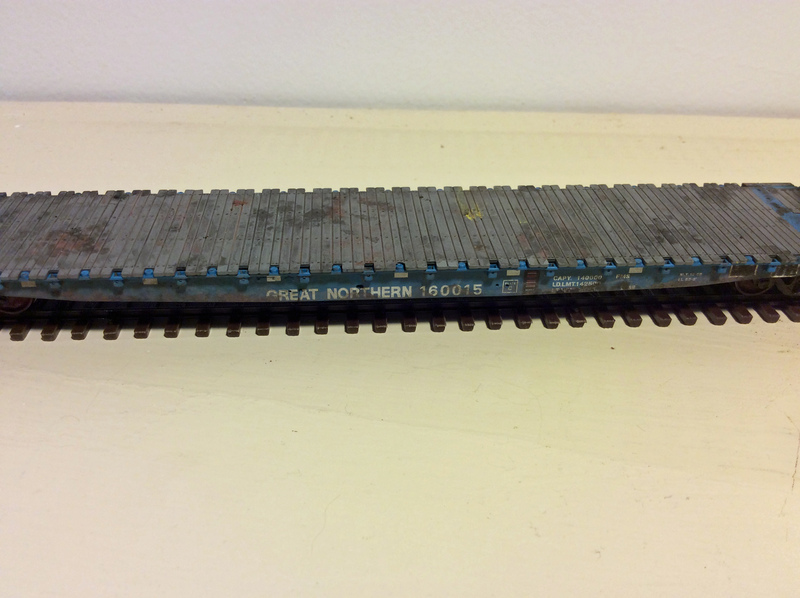 ACI plate has been cleaned, though by 1982, no one would have really bothered. Ready to bring some auto parts into the warehouse. 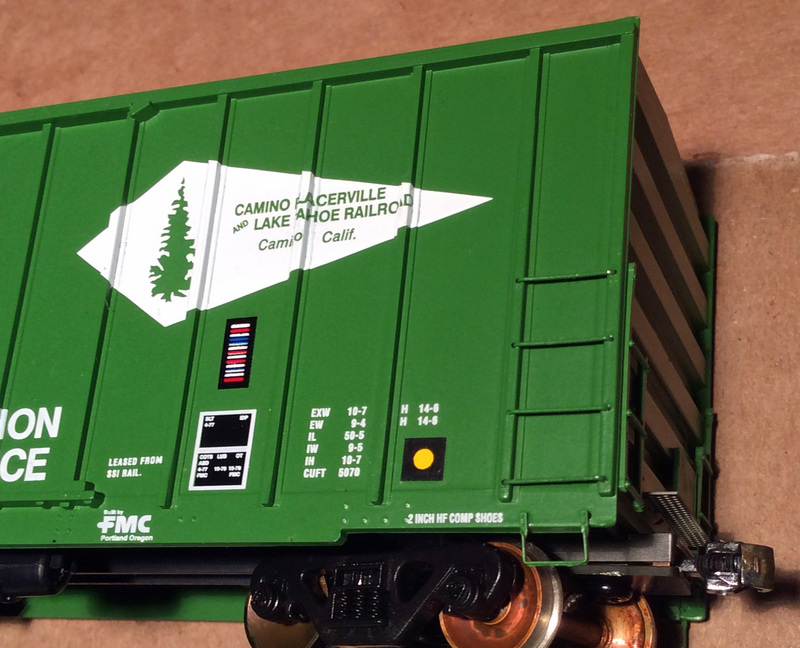 CPLT #7737 is ready to bring a load of lumber to the team track on the Rails West layout. 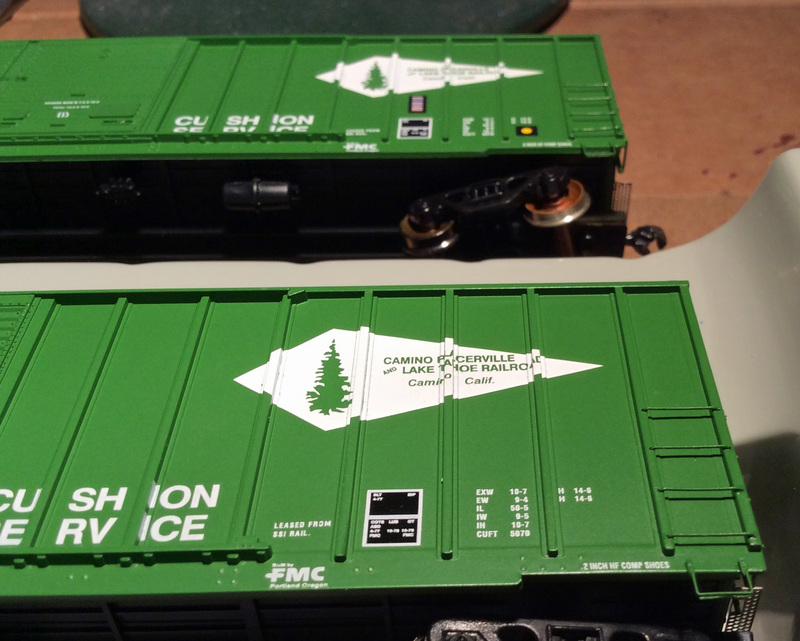 Recently the Rails West layout had some visitors from the north country, actually a couple of cars I just got around to prepping for the layout–weathering, scale wheels and couplers, ACI tags, consolidated lube plates and the wheel inspection dots. I like the way they turned out. 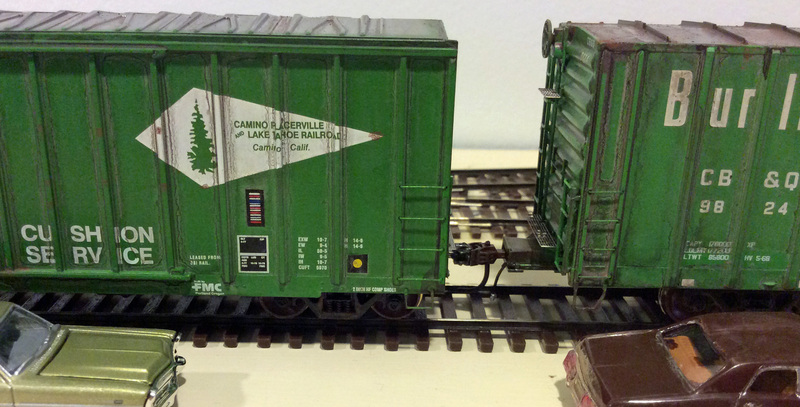 If you treat each car as a work of art, it can add so much to the development and realism of your layout. 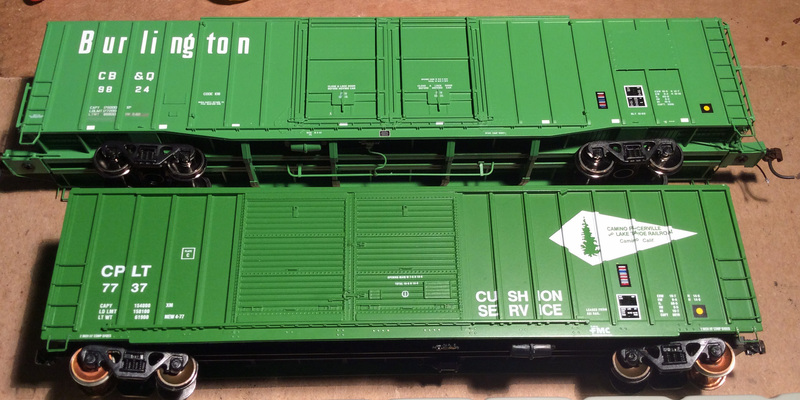 The first car is Tangent Scale Models new flat bulkhead car. It is a work of art in its own right. They are breathtaking models. The detail is magnificent. Tangent did a super job on these. Close-ups of sides and decks. Lube plates and wheel inspection dot applied. 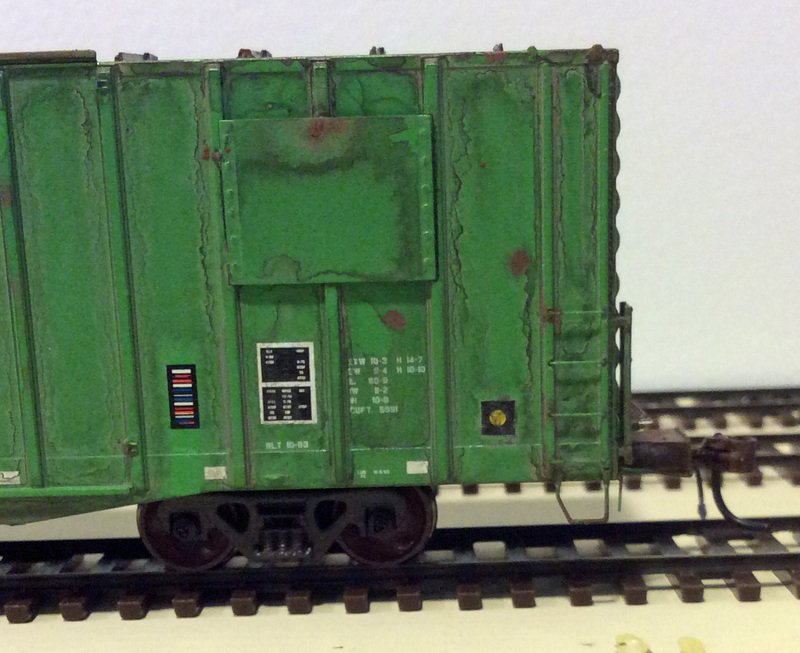 The other visitor was a Fox Valley Models car I finally got around to prepping for the layout. With a little TLC, this car too can make a great addition. Lube plates and dots needed on this one too. This one need a brake hose as well. Pin lifters may come in the future. More visitors to come soon. 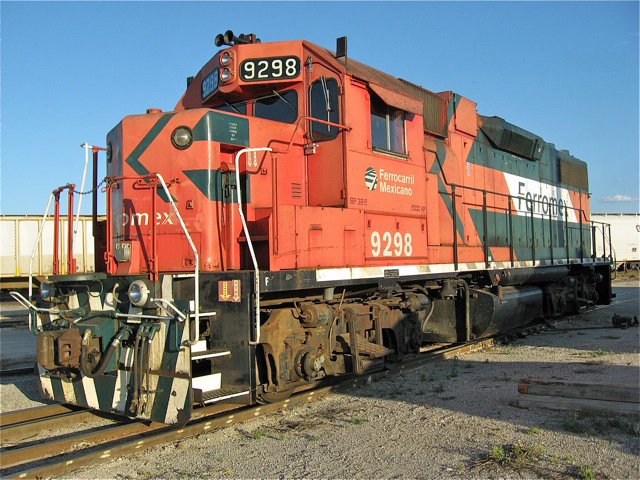 In this post we will look at some of the locomotives serving the South Orient line after ATSF pulled out. 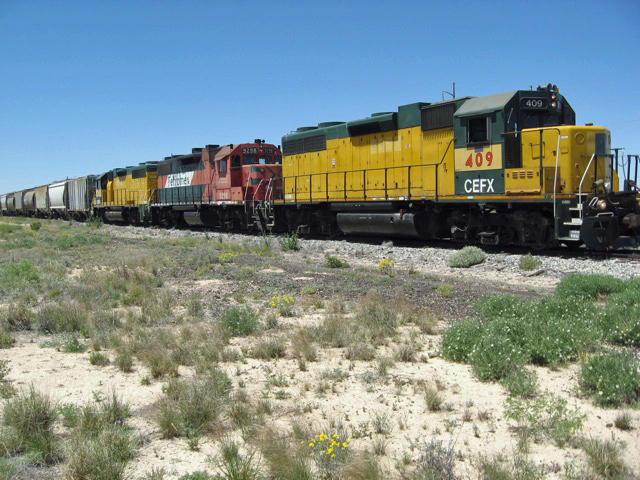 The South Orient Railroad was established in 1992, when Santa Fe sold 375 miles of its trackage in central and west Texas. 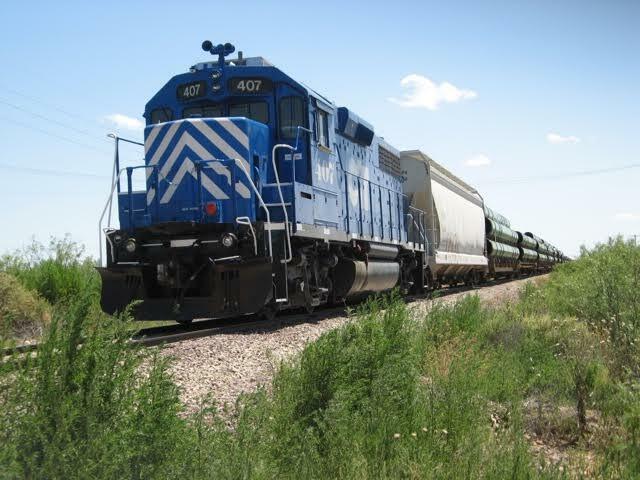 The sale included about 70 miles of line between San Angelo Jct (the San Angelo Subdivision’s connection with the Santa Fe Lampasas Sub east of Coleman) and San Angelo, and 305 miles of line from San Angelo to Presidio. During the late 1990s and 2000, South Orient suffered declining traffic volumes leading South Orient to sell the line to the Texas Department of Transportation. The line has since then been operated by Texas Pacifico Transportation, which is owned by Ferromex. South Orient started with some ex DRGW GP-9’s. These had D-24 brake valves. When the lease on the ex DRGW GP-9’s ran out, SO leased some ex-CNW GP-7’s. 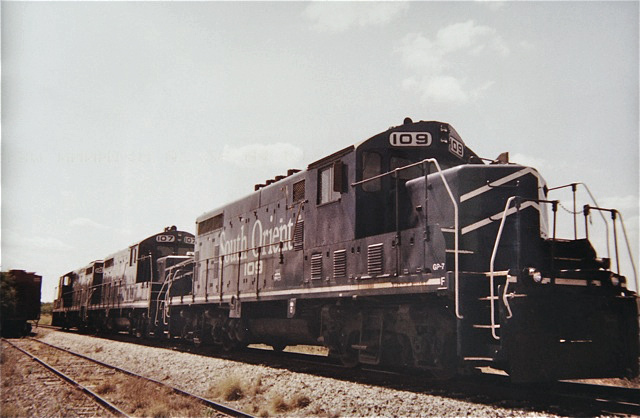 These units were lettered for CenTex RR (CTEX) which was the old ATSF line from Ft Worth to Brownwood, Texas and was part of SO until the SO ceased operating. CTEX then became the Fort Worth and Western Railroad, a very successful line operating today. 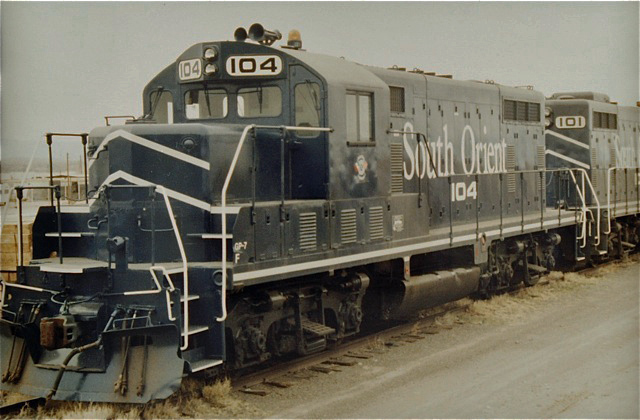 In addition to the ex CNW GP-7’s, South Orient also leased some other GP-7’s that were painted in a Missouri Pacific-like scheme. 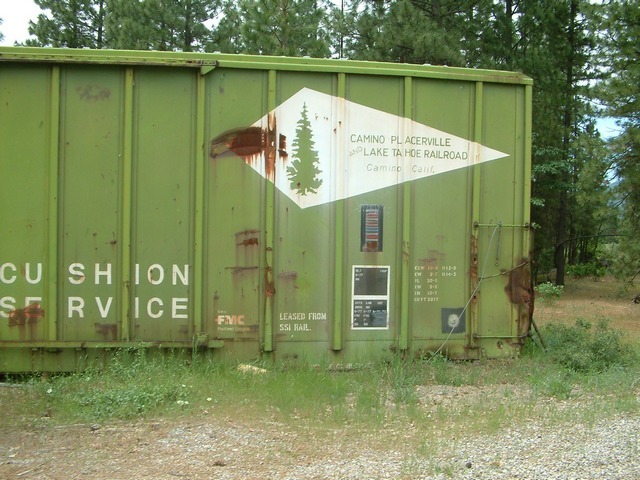 They were also ex-CNW units. SO and CTEX units operated over the entire line from Ft Worth to Presidio. For a short period, the units even operated into Mexico. 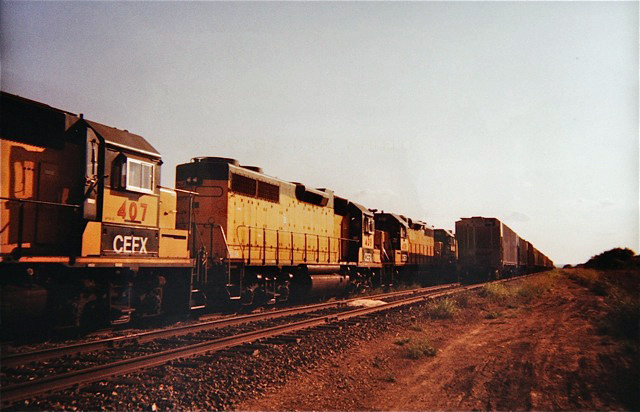 Last run of the SO GP-7s, July 1, 2004. 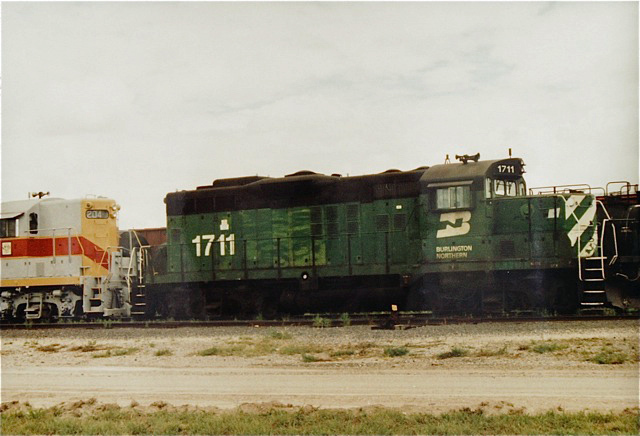 The new power arrives at San Angelo Jct., July 1, 2004. 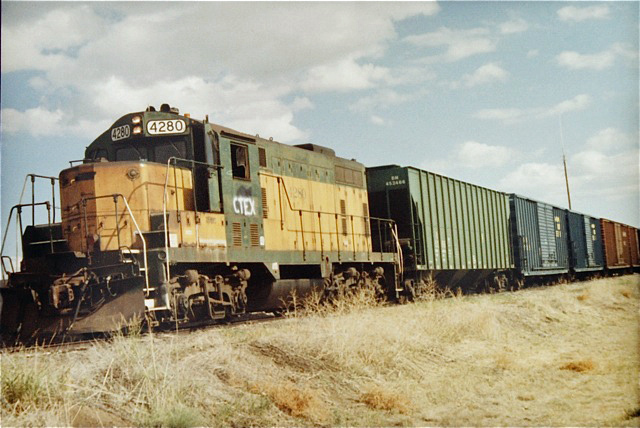 GP-38 in CNW colors for the Texas Pacifico. 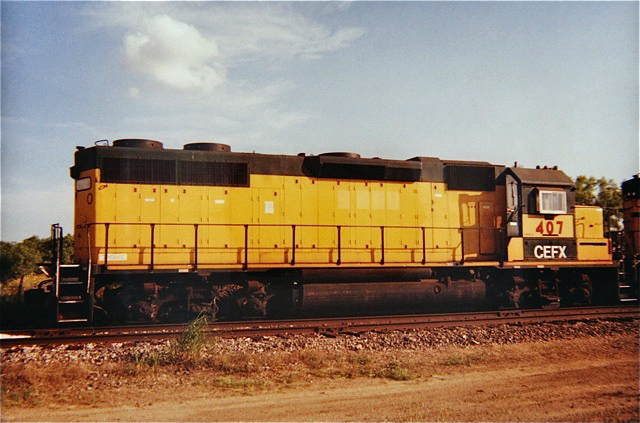 All units were GP-38’s in CNW colors except for one in UP colors. 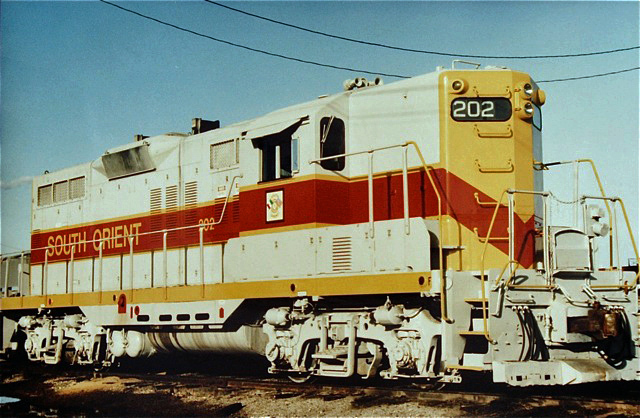 To help out after the CTEX units were let go, the South Orient, now known as the Texas Pacifico, received three units from Ferromex. Here’s the one unit in former UP colors. 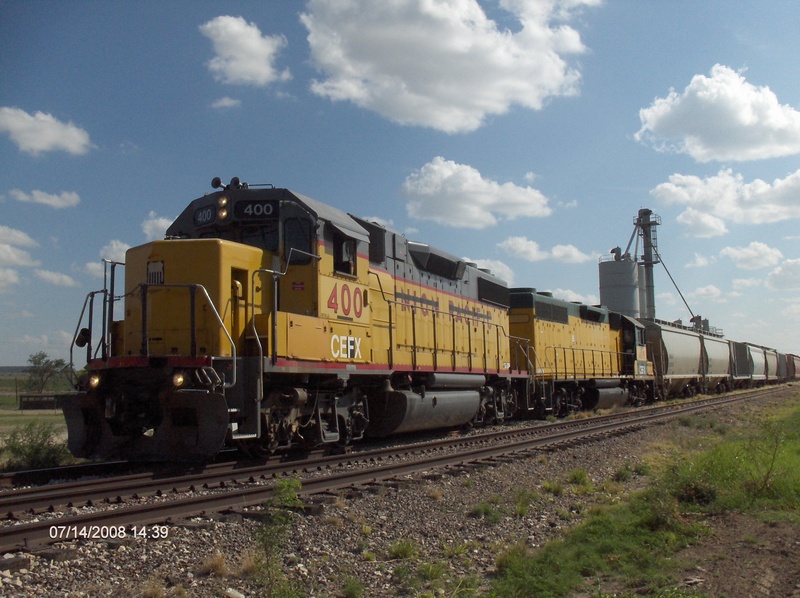 CEFX #400 at Rankin, Texas, July 14, 2008. That was the locomotive situation until summer of 2012 when the frac sand and oil boom hit the Texas Pacifico big time. 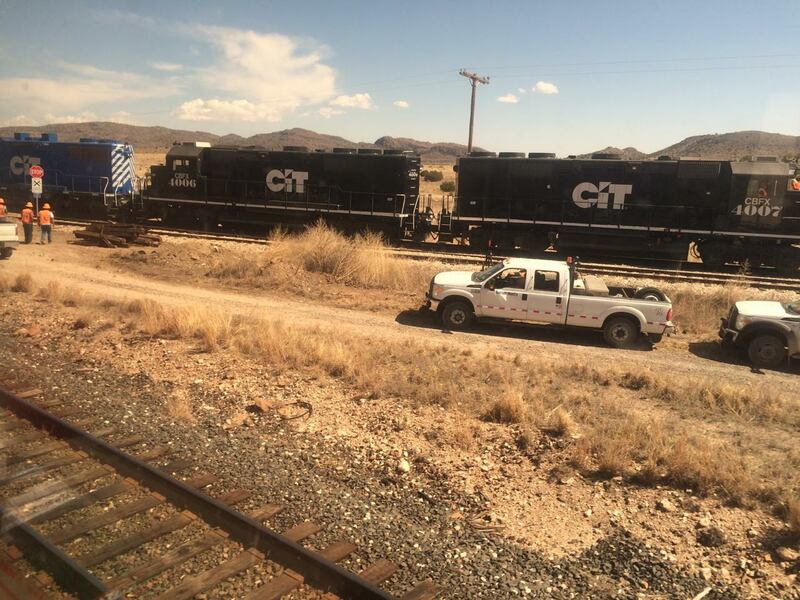 The oil boom brought new CITX locomotives. Here’s one of the new units in 2015. Here’s more of the newer units from this scene captured February 29, 2016 near Alpine, Texas. A lot of variety from 1992 to present.